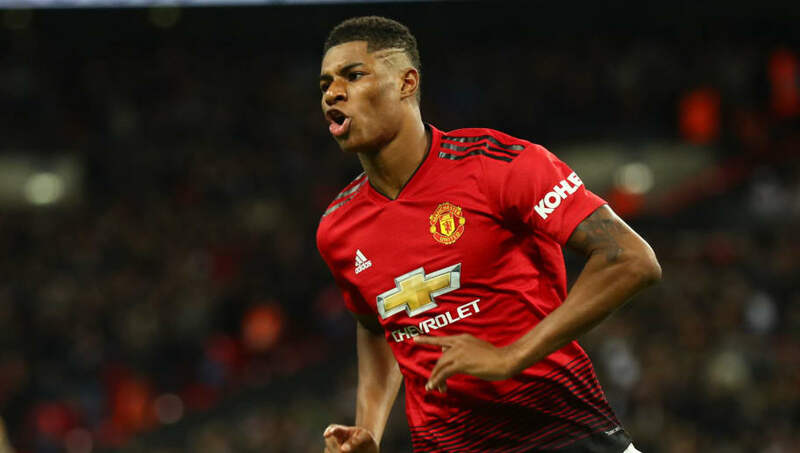 ​Ole Gunnar Solskjær's in-form Manchester United side host Brighton & Hove Albion on Saturday, as they look for their sixth consecutive win in the Premier League. United are in the best of form they've been in for some time, with Solskjær having had a greater impact on the team's fortunes than many initially expected. The Red Devils finest result under the new boss was also their most recent, as they won 0-1 away to Tottenham. ​Brighton, who are 13th in the Premier League, travel to Old Trafford to face a very different United side to the one they beat 3-2 earlier in the season. The negativity surrounding ​United under previous manager Jose Mourinho has vanished since then and the performances have significantly improved. Had this game been scheduled a month earlier, Chris Hughton might have fancied his chances, but escaping from Old Trafford with even a point this weekend seems a big ask for the Seagulls, who have won just one of their last seven in the league. Solskjær announced that ​Alexis Sánchez could be involved following a return to training this week. Sánchez was unavailable for the Spurs game due to the injury picked up in the FA Cup against ​Reading. Chris Smalling is also a doubt for Saturday's game with a foot injury that has kept him out of action since early December. ​Marcos Rojo recently travelled back to Argentina to concentrate on recovering from his injury that has also resulted in him being unavailable for over a month and it is expected he will be out for more time. For the visitors, José Izquierdo has had problems with a knee injury throughout this season and is expected to be unavailable for the trip to Old Trafford. Bernardo has missed Brighton's last two games and is a major doubt to make a return to the squad here. Brighton Button; Montoya, Dunk, Duffy, Bong; Stephens, Groß, Pröpper; March, Locadia, Murray. ​Of a total 20 games between the two clubs, Manchester United have won 12. Brighton have won three, two of which came in 2018, while there have been five draws. ​It's no secret that United are in terrific form and look a completely different side under caretaker manager Solskjær. Six wins in all competitions with 17 goals scored underline the impact the Norwegian has had. United have also kept a clean sheet in each of their last three games. Brighton may only have won once in their last seven Premier League outings - and just twice away from home all season - but still look highly unlikely to get drawn into a relegation dog fight. Despite losing 1-0 at the Amex last time out against high-flying ​Liverpool, recent draws away to ​Arsenal and ​West Ham, in addition to a big win at home to ​Everton see them sit eight points above the danger zone. Manchester United are heavy favourites to beat Brighton and many will expect to see them do so in convincing fashion. While players such as ​Paul Pogba and ​Marcus Rashford are getting plaudits, the whole team has shown such an improvement in recent weeks. Brighton will put up a big fight to get a result at Old Trafford, but may find it difficult with United scoring 13 goals in their last four games at the Theatre of Dreams.